Nationwide, more and more entrepreneurs are committing themselves to creating and running "third places," also known as "great good places." In his landmark work, The Great Good Place, Ray Oldenburg identified, portrayed, and promoted those third places. Now, more than ten years after the original publication of that book, the time has come to celebrate the many third places that dot the American landscape and foster civic life. 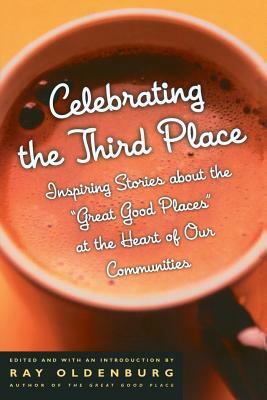 With 20 black-and-white photographs, Celebrating the Third Place brings together fifteen firsthand accounts by proprietors of third places, as well as appreciations by fans who have made spending time at these hangouts a regular part of their lives. Among the establishments profiled are a shopping center in Seattle, a three-hundred-year-old tavern in Washington, D.C., a garden shop in Amherst, Massachusetts, a coffeehouse in Raleigh, North Carolina, a bookstore in Traverse City, Michigan, and a restaurant in San Francisco.